Your strings want a slippery, smooth guitar pick. Your fingers don't. 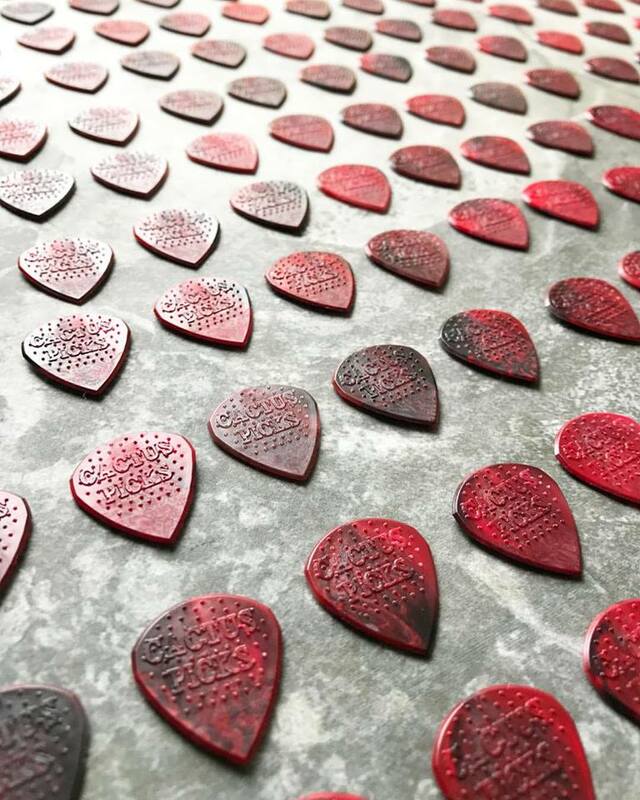 Delrin is extremely durable so the pick won't wear down as fast as other picks. We add Cactus Spikes to our picks so that when you hold it, it stays. You've felt other "grip" picks but these are much more aggressive than any other pick ever made. A small percentage of our customers find them "too grippy" and file the spikes down with an emory board. Feel our picks one time and all other picks will feel smooth.